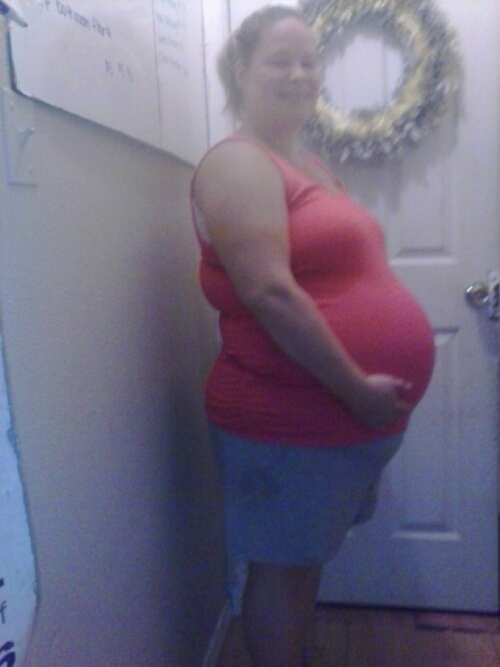 So here we are….40 weeks & 1 day. Baby W has decided that it’s not time to come and he/she just isn’t ready to grace us with their presence. Here is a recap of 39 weeks. Besides just feeling pressure, there wasn’t much going on & no change in anything. Wednesday evening me & a bestie went walking to try and get things started. We walked 2 miles. Then I came home and went to the store with Mister = more walking. Then we Googled pressure points to help induce labor & then Mister rubbed those points. Nothing came from any of those efforts. And then last night happened. We had eaten dinner, our family that is in town had gone back to their hotel, and the kiddos were getting ready to have a cupcake. 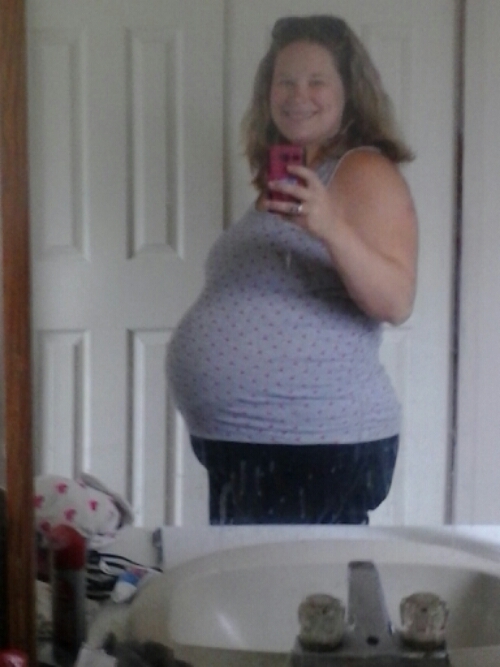 I was sitting on the couch & I felt a ton of pressure building up on the under part of my belly. At first I figured that it was just pressure and nothing would come from it. Well then it started to build again and I had to close my eyes and concentrate & then the discomfort/pain went down. These contractions started to be consistent & started to become more painful. Mister finally said that I needed to start timing them. He could tell by the way that I was acting & getting irritated when people talked to me that these were the real deal. At first I wasn’t sure just because of the way they felt. They weren’t what I remembered with my other 4 labors (I never labored with baby #5). I said that I would start timing them after I went to the bathroom. Went to the bathroom and decided to get my shower in at that time instead of waiting until later in the evening…just in case. Nothing happened after I got up from the couch. Everything stopped. No pain. No contractions. No nothing. I was so bummed. I really thought it was about to be go time. Since it stopped, we did the pressure points again. Nothing happened over night. This takes us to this morning (Friday). I had my appointment this morning and was ready to see what the dr would have to say & see if I had dilated more since last week. Everything checked out just fine with me (weight & blood pressure). We talked about induction options. There is a small chance that my uterus could rupture period because of having a prior csection. My risk increases (not by much) when you put the option in of using pitocin. I would really not like to add a higher chance of my uterus rupturing if it’s not needed. My dr knows this and we are on the same page. She will allow me to go all of next week to go into labor on my own but if I don’t, then we will schedule an induction for the last week of July. She asked if I wanted to be checked and I said yes. I wanted to know if I dilated more with everything that was going on. I am still at 2cm, no biggie. I asked her if she would do a membrane sweep & she said she would. I told her to go ahead and do it. Boy was that more painful than I remember! Of course I had some spotting afterwards and have had some cramping but that’s to be expected. My next appointment is scheduled for Wednesday the 23rd if there is no baby before then. Hopefully I can get this baby to come on his/her own! I do not want to be induced or have another csection! I will continue to try natural ways to get things moving & pray it works! No matter the time of year, weekends & holidays are just different than the regular week. This past 4th of July weekend was no different. Mister had a 3 day weekend and, of course, all 5 kiddos where home. They don’t do anything different than any other day, so I am never quite sure why I get more irritated on the weekends. I don’t know if it’s because Mister is home and I want to spend time with him or what. Either way, I need to work on it. I lost it on Sunday with the boys. All they had to do was clean their room, something that shouldn’t have taken more than an hour. Well they ended up choosing to take somewhere around 5ish hours to do. What a nightmare! The whining, crying, tattle taling, the talking back…ugh! At one point I had just had enough and didn’t pay attention to any of my words that I was saying. I started using cuss words (which I rarely do) and just yelling and flying off the handle. It was almost like I couldn’t calm down until I had that outburst. I felt horrible after my tantrum. I haven’t yet but I should probably still apologize for it. After that, I was able to talk calmly and actually talk and not yell. I could form my thoughts much better and make sure what I was going to say was going to be helpful instead of hurtful. I need to remember that when my kiddos have a meltdown or tantrum that they have just met their boiling point. I need to remember to not bite their head off for acting the same way that I did. We all have a breaking point. We all need a moment to breakdown, calm down, and then refocus. It’s not just adults. It’s always easier for me to look back and know what I should have done/said. It’s the in the moment times that I need to apply this stuff. I am not perfect in any way, shape, or form. I am a hot mess! My house is anything but quiet and calm. At any given moment if you come over to my house there is a mess on the floor & table and someone is usually crying or screaming. It’s a working progress. We are all still learning. Just because we have, almost, 6 kiddos does not in any way mean that we have a clue to what we are doing.